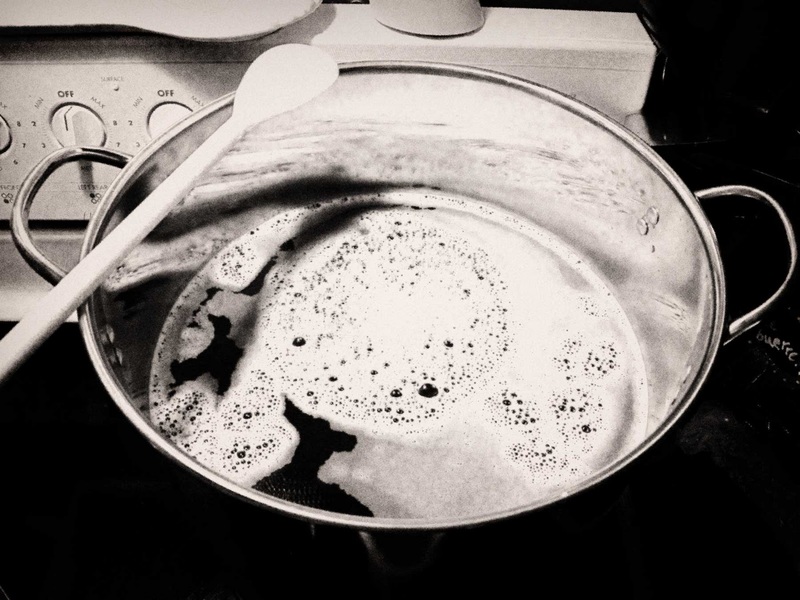 I began my first attempt at homebrewing this weekend. I have no idea how it will turn out. I am using a kit and equipment my wife got me for my birthday a couple of years ago. Yes, it took me a couple of years to finally get around to doing something I’ve been wanting to do for a long time. The wort is now slowly fermenting next to my desk in our storage closet. 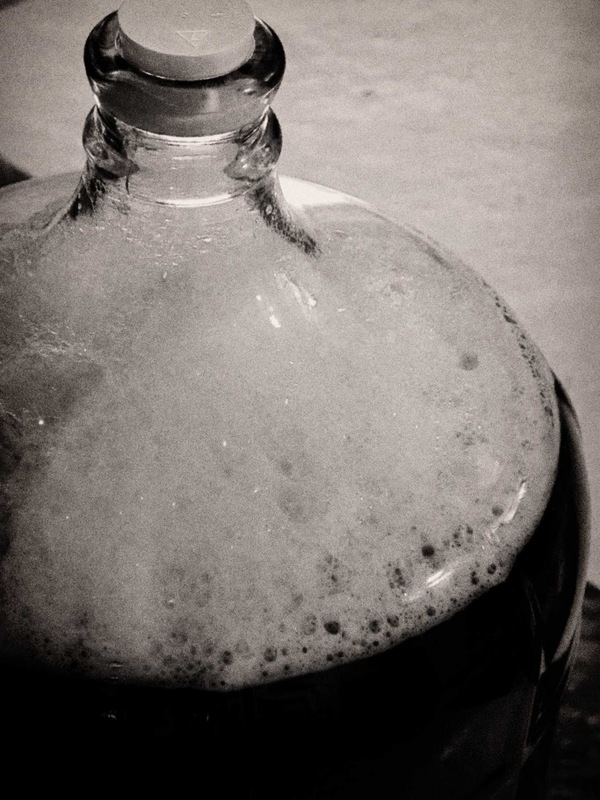 It should take about 10-15 days to finish the first stage of fermentation. Wish me luck. We loaded the kids in the trailer and rode our bikes to Hideaway Bakery one recent Saturday morning. We rode along the Willamette River, through Skinner’s Butte Park, through the Univ of Oregon campus, then some neighborhoods, along the Amazon bike path, to the bakery. The ride is about 7 miles one way. I shot this on my Canon G11 – a little tricky hand holding it at times while riding and pulling the trailer. I wish this camera shot in HD, but it’s not bad for what it is. Edited in the Canon utility that came with the camera, and with Windows Live Movie Maker (yes, I’m cheap). 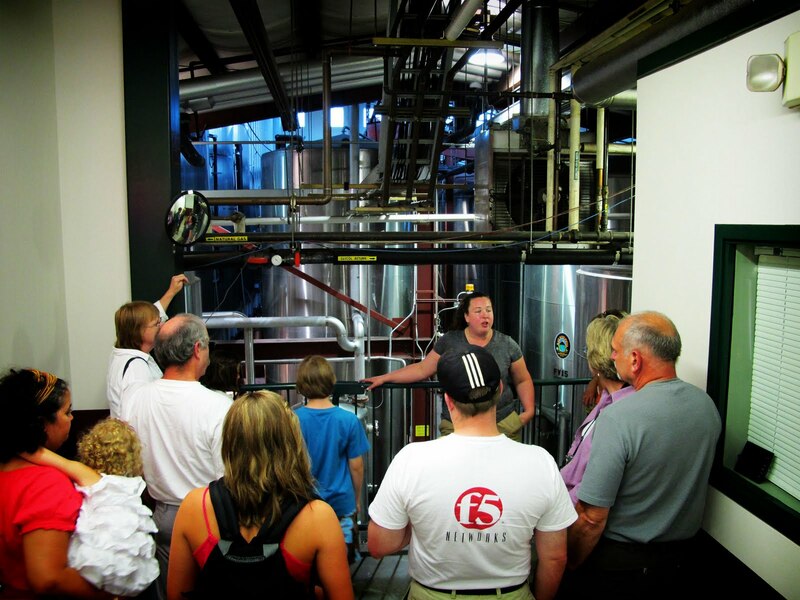 We began with some tasting while waiting for the tour to begin. Our guide knew just about everything about the process and her enthusiasm was clear. Nothing like fresh hops! 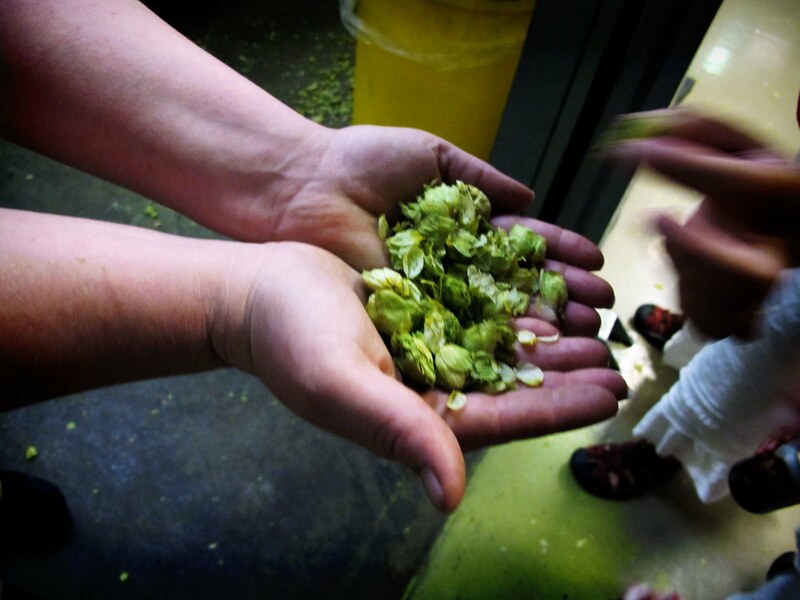 Wonderful smell, and part of the secret to one of the world’s hoppiest beers. 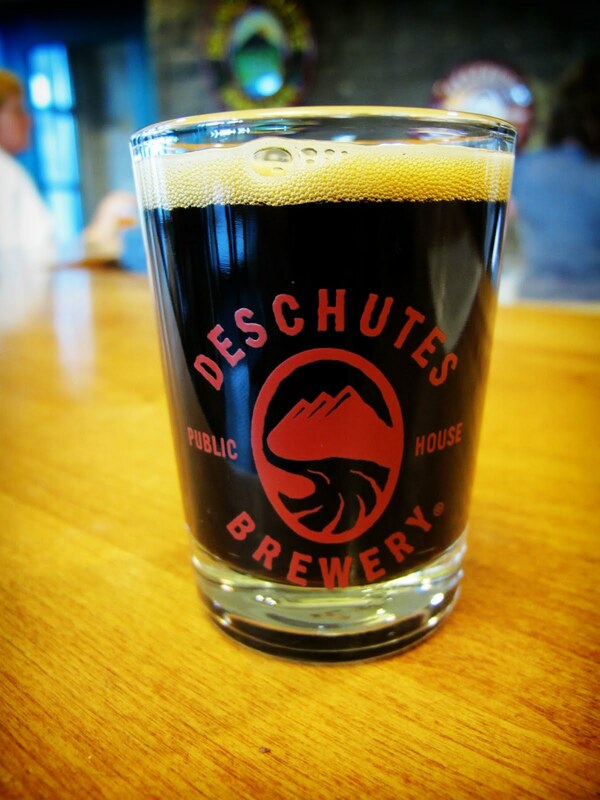 People come from all over, even places that do not sell Deschutes. One way or another people find out just how good it is. The white pins show where the distributors are. The latest is in Minnesota. My friend Brian likes that a lot. 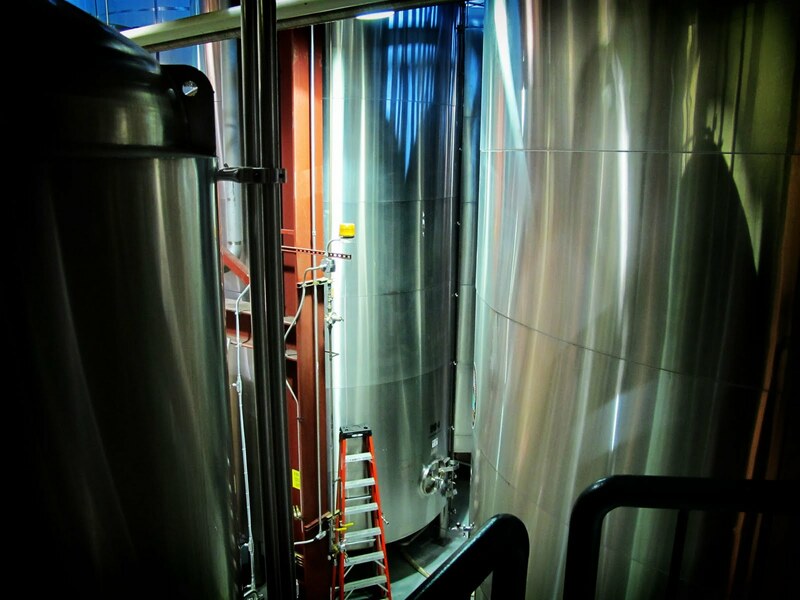 Lots of big tanks for lots of good beer. Overall it was an informative homeschooling experience. >Just in case you found my previous post too esoteric or your French a little rusty, here is something to cleanse the palate. >I have been posting a lot of videos lately, and here is another. Michael Pollan wrote on of the most important books in recent publishing history, The Omnivore’s Dilemma. That book raised so many questions and concerns about the food we eat that many felt they could not eat anything without facing some kind of moral, ethical, or health dilemma. In that light, and to counter fears created by his book, Pollan wrote another book called In Defense of Food. He spoke on that book at Google and, I have to say, this less-than-an-hour talk could change your life. I have not read his new book, but I do know The Omnivore’s Dilemma (which I am currently reading) is amazing. 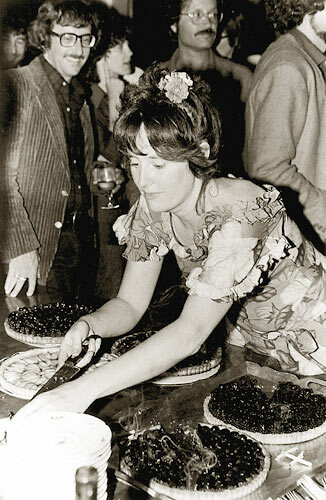 Alice Water in early 1970s. 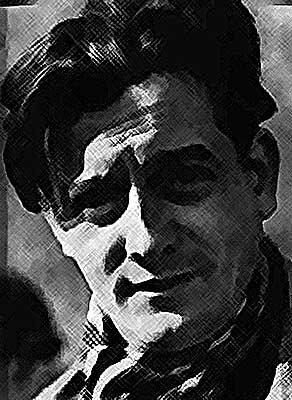 Fifteen years ago, when I was making plans to open a café and restaurant in Berkeley, my friend Tom Luddy took me to see a Marcel Pagnol retrospective at the old Surf Theater in San Francisco. We went every night and saw about half the movies Pagnol made during his long career: The Baker’s Wife and Harvest, taken from novels by Jean Giono, and Pagnol’s own Marseille trilogy—Marius, Fanny, and César. Every one of these movies about life in the south of France fifty years ago radiated wit, love for people, and respect for the earth. Every movie made me cry. My partners and I decided to name our new restaurant after the widower Panisse, a compassionate, placid, and slightly ridiculous marine outfitter in the Marseille trilogy, so as to evoke the sunny good feelings of another world that contained so much that was incomplete or missing in our own—the simple wholesome good food of Provence, the atmosphere of tolerant camaraderie and great lifelong friendships, and a respect for both the old folks and their pleasures and for the young and their passions. Four years later, when our partnership incorporated itself, we immodestly took the name Pagnol et Cie., Inc., to reaffirm our desire of recreating an ideal reality where life and work were inseparable and the daily pace left you time for the afternoon anisette or the restorative game of pétanque, and where eating together nourished the spirit as well and the body—since the food was raised, harvested, hunted, fished, and gathered by people sustaining and sustained by each other and by the earth itself. This little passage was a revelation for me. I am a fan of Waters and her vision. I love the slow food movement and community supported agriculture (though I need to put by enthusiasms more into practice). I had no idea of her love for Pagnol’s films or how Chez Panisse got its name. Maybe I am the last to know. 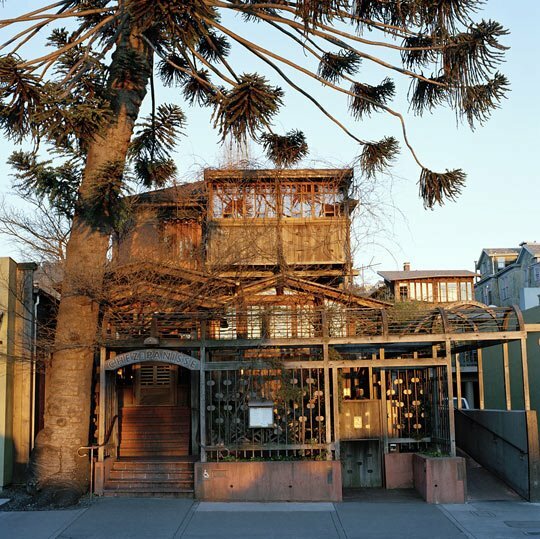 A video look at Chez Panisse. I was searching the library catalog for the films My Father’s Glory and My Mother’s Castle, but the library only had the book, so I checked it out. Originally published in 1960 (in French of course) the Alice Waters’ foreword is from a 1986 edition. Two of my favorites things in this world – the kinds of things that makes me say “there is a god” – are great films and great food. 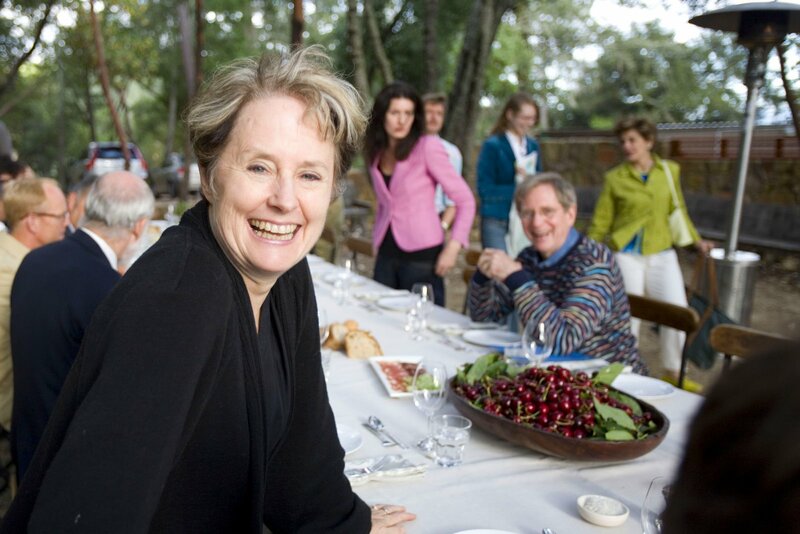 I was so pleased to read those words from Alice Waters. Here is someone who is famous for her restaurant, her cook books, her simple, earthy philosophy – all of which I admire – and yet she displays a deeply felt response to cinema. And then she creates a permanent connection between the two great arts. That is the kind of human action of which we need more. I am now in the hunt for the Marseilles Trilogy (a.k.a. The Fanny Trilogy). I see that is is available on DVD. Since my local library doesn’t have it this might be the final straw that gets me to sign up for Netflix (you’re wondering why I haven’t already). I know very little of Pagnol’s work, but I have a feeling I will love it. I would hazard a guess that he was an interesting individual and a great filmmaker. The day would turn enchanting when Marcel arrived, unheralded, in the middle of our boring summer holidays in La Treille. From then on, our day was filled with unusual commotion as my brother would immediately stage some activity: long hikes in the hills, picnics, highbrow conversations way off our usual chattering. One day, I saw La femme du boulanger (“The Baker’s Wife”)… It was a shock. This movie is as powerful as a film by Capra, John Ford and Truffaut altogether. Pagnol must have been an outstanding man. I began this post by saying it was about dreaming. I dream of visiting southern France (where I’ve never been), of making films and writing books (which I’ve only done on the smallest scale), of cooking gourmet meals (which I’ve done many times, but there’s always more), and of eating at Chez Panisse (which I’ve also yet to do). These dreams, and others, keep me alive.